LET SAVVY CHIC KIDS HELP GROW YOUR BUSINESS! Savvy Chic Kids Sale sponsor opportunities are designed to provide local businesses with an excellent way to promote their services and/or products to Inland Empire Families. If you have unique products or services related to parents, families, or children, this is an opportunity to expand your business. To advertise your business or organization with Savvy Chic Kids Consignment Sales, please contact us to request an application. **All sponsorships are subject to approval by Savvy Chic Kids management. Email Ad - A banner ad/coupon/link, etc. on one outbound Savvy Chic Kids Consignment email during the 6 weeks prior to the sale (distribution list 2000+). Flyer/Coupon at the Sale - Your flyer/promotional material will be included in our customer goody bags, passed out to the first 250 customers at the sale. Social Media Shout-out - All Sponsors will be mentioned in at least one post on our Facebook page and Twitter account. Do you have a business that serves families? Swap flyers or web links with us for a win-win situation. Set up a table at the sale. You may sell items, advertise your services, hand out your own information, etc. You will provide your own table and chair. You will be responsible for set-up and tear-down of your “booth” and must be present during sale hours to interact with shoppers. Your space will be approximately the size of a 6' table. (Book early, limited # of spots available). Savvy Chic Kids offers overstock liquidation of name-brand, high-end clothing labels for women and children. Overstock vendors receive 70% of their total sales. To inquire about liquidating your overstock products at our event, please contact us. Boutique vendors have two options for selling their handmade items at the Savvy Chic Kids Consignment Sale. You may secure a vendor table for $75 and sell items directly to customers from your “booth” space. With this option you will be responsible for your own transactions and must be present to sell your items. The second option is to register as a “Boutique Consignor”. With this option, you will enter and tag your items with our online tagging system. Items can be dropped off and we will run them through our system. Boutique Consignors are responsible for their own displays and must come during normal drop-off hours to set up their products. Boutique Consignors will receive 75% of their sales. To apply to register as a boutique consignor or vendor, please complete the Vendor Application and email it to us. 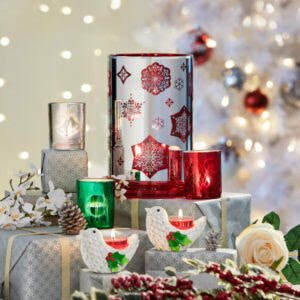 Partylite Candles, Decor and More...Quality infused fine fragrances with stunning accessories to match! Create the best home fragrance experience by placing an order with Monika during the Savvy Chic Kids event and receive a FREE candle!